Oil spill, my first oil spill after my mid-October training. It actually occurred Friday evening on Nov. 26, 2004, but I didn’t know about it until 2 p.m. the following day, and I was called in to be there at 4 p.m. Upon my arrival, a wash team was already working on the Bufflehead ducks that were the first to arrive. Bufflehead means buffalo-headed, and they have unquestionably large heads. These beautiful ducks are remarkably good divers and very fast swimmers under water. This was the third spill that Tri-State was handling simultaneously. There was one going on in Newfoundland, and another in Savannah, GA. It is highly unlikely that such a thing would ever happen, but it was being dealt with, so none of the oil spill team was there to handle this spill, until the arrival of one member on Saturday. 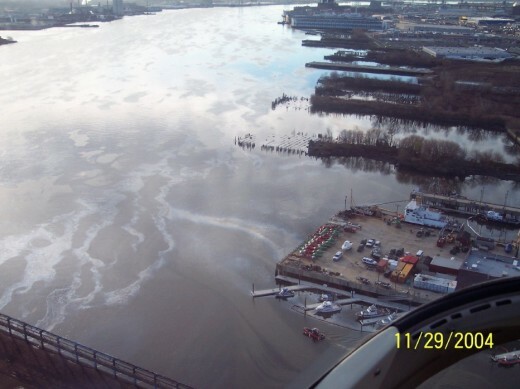 Our local spill occurred Friday night at the Citgo Facility in Paulsboro, NJ. The tanker was the Grecian ship, the Athos I, carrying Venezualan oil. 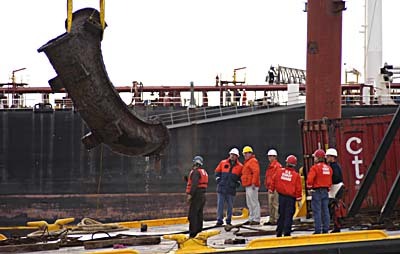 This was a single hulled ship and the initial report was that the center tank was breached. The Delaware River between the Walt Whitman and Ben Franklin Bridges, a 10-mile stretch, was closed. It was later learned that the ship had two breaches in the bottom: a 6 foot gash in her and a 2 ½ foot puncture. At the time of this story, the cause was being investigated, with sabotage not to be ruled out. Also affected was the John Heinz Wild Animal Refuge with talk that 6000 birds and mammals were involved, with the fear that 1000 would die. These numbers were not official, but as close an approximation as possible. 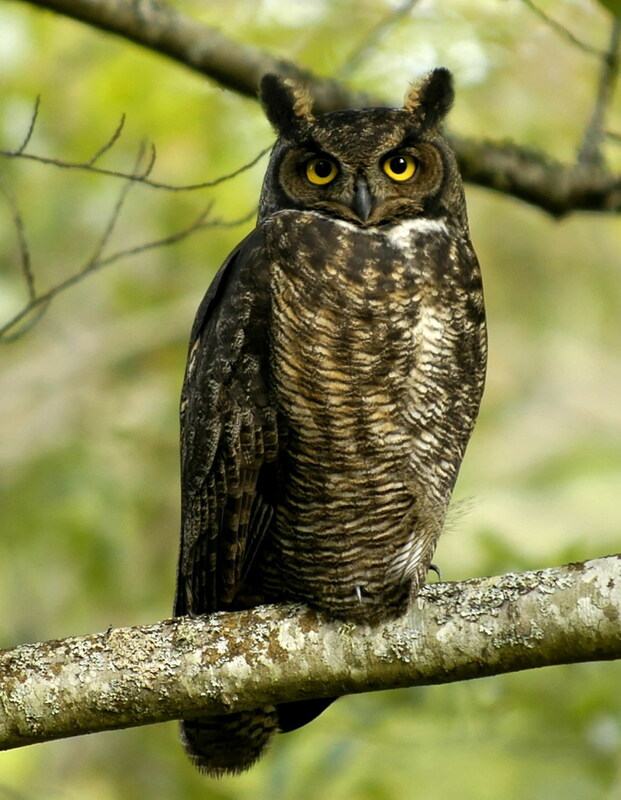 Each day began with a briefing, and there was always a brief overview of what birds and/or animals that we had in house, duties were handed out for the day, and we were always reminded about safety, as oil is very carcinogenic. We were only allowed to work 4-hour shifts, for safety reasons, as the smell of oil and the release agents used could cause people to pass out, even though the air was moved constantly by fans. People did pass out. The day before, I had learned how to set up playpens where birds would be housed. There were clean rooms for those washed, and the oiled rooms, for those birds that needed to be washed. The following day, I learned the mechanics of gavage, or tube feeding. Basically, with a heavy crude oil such as what we had in this spill, birds were given pedialyte, which hydrates and cleanses the gastrointestinal tract of the oiled birds. We kept their heads up, so they could retain as much of the moisture as possible without regurgitating, which is extremely important in their well-being. Those of us that handled oiled birds(we were getting mostly Canada Geese), were dressed in Tyvek suits, heavy gauge rubber/plastic aprons, heavy rubber gloves and nitrile gloves over those. 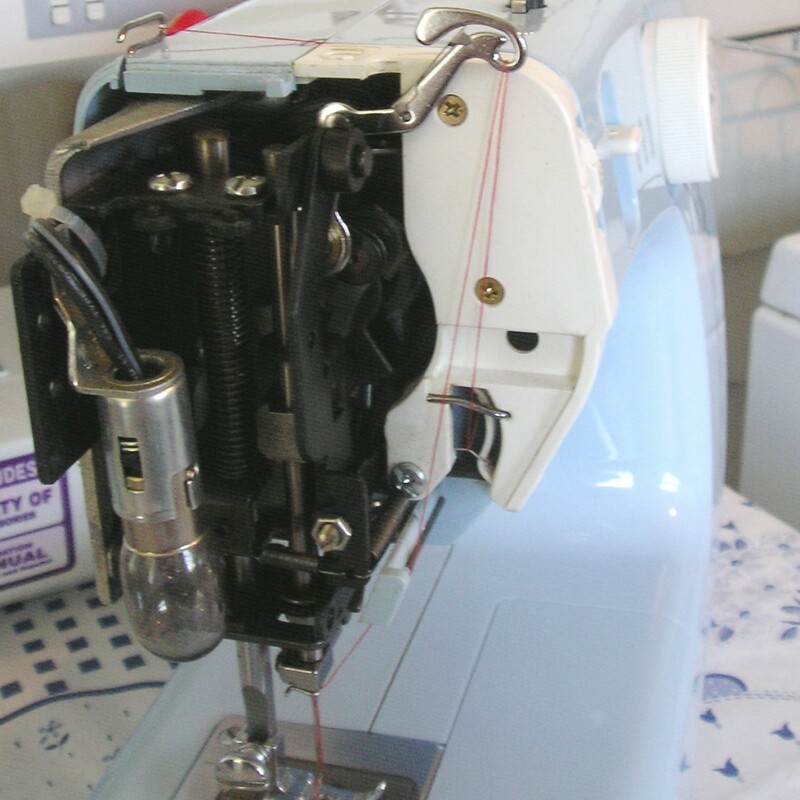 The equipment that we used was kept separate from the clean material, or it would cause contamination. Our oiled clothing was bagged up and disposed of specially, including the oiled water that was used to wash these birds. Even plastic food and water dishes were kept separate. The oil team members began returning and we learned that the Newfoundland spill was heavy crude. There was a pipe that broke right under a wildlife refuge, and quite a bit of oil was lost. The Georgia spill was much less severe: as the boat was leaving the dock, a sheen was seen across the water. This was contained quite rapidly, but a number of loons had been oiled. It is very serious for oiled loons, as they are extremely hard to keep in captivity, plus they are very susceptible to infection and disease. We did a number of different stagings, as birds were being brought in to us in fairly large numbers. We had to provide washed birds with swimming pools and ramps, plus mats were used to protect their sensitive feet. The third day, I was part of a wash team with two experienced team members. I learned how to fill the metal wash tubs with the proper water temperature and to put in the correct amount of soap. 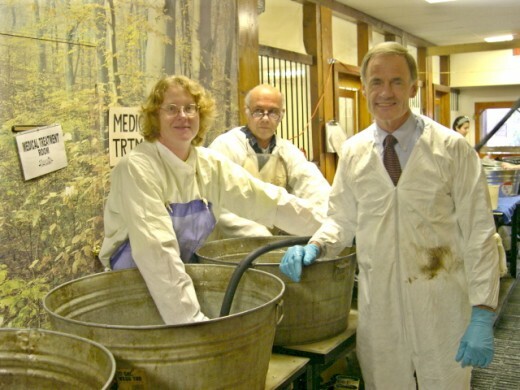 As the washed birds were being moved along in the wash and rinse tubs, I emptied the oiled water, which went into contained tanks that would be disposed of by a special service when full and properly disposed of according to correct procedures established by the EPA. Then I cleaned the wash tubs, filled them with water and soap, and they were ready for the next batch of geese to be washed. During the second wash, I held the goose. Since this was heavy crude oil that we were dealing with, it was sprayed with a warm release agent. That was then worked through the feathers to help release the crude oil. I held the goose down in the water and held the wings to keep it from trying to fly away. There’s a lot of maneuvering required while a bird is being washed. The lead person washed the head and front of the bird and the second person cleaned the wings, back of the bird, the underbelly, tail, and legs. The TV stations and the press were there on-and-off all day, due to the fact that this was a large spill and it was their duty to keep the public informed. The fourth day, I was part of cleaning a pool where we were housing geese, the pool deck, the mats and sweep the floor. We were amassing so many Canada Geese, we had to spread out, as we required more room for the clean birds. At this time, we were collecting a number of Mallard ducks, so we put another pool in operation for the washed birds. 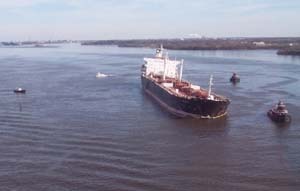 On Wed., Dec. 1, the news was indicating that we were now looking at 50 miles of oiled waterway, from the Commodore Barry Bridge between NJ and DE to Artificial Island in DE. Now there was a possibility that 473,500 gallons was released and it was now suspected that the damage to Athos I was caused by a 23 foot propeller lost in the same area. To make matters worse, another spill happened in St. John, New Brunswick–a bilge spill involving several hundred birds—murres, dovekies, and eiders were washing ashore and sadly, most of them were being euthanized. On the fifth day, Dec. 2, we had plenty of people come in to help, so nobody got bogged down trying to do too much. There were people making tubing diets, people to tube, and others to handle cleaning the dirty tubes and dishes. This was the day that I actually did some gavage(tubing). I also became the second person on the wash line. The sixth day, Dec. 3, we were spreading out into the flight cage with washed geese, and the latest on the news was that 70 miles of waterway was now oiled. The two area nuclear power plants were shutting down for fear of getting oil in their intakes. I was getting more experience and was starting to oversee some of the newer people that were volunteering with cleaning cages. By Sat. Dec. 4, we had 100 oiled animals come in thus far. 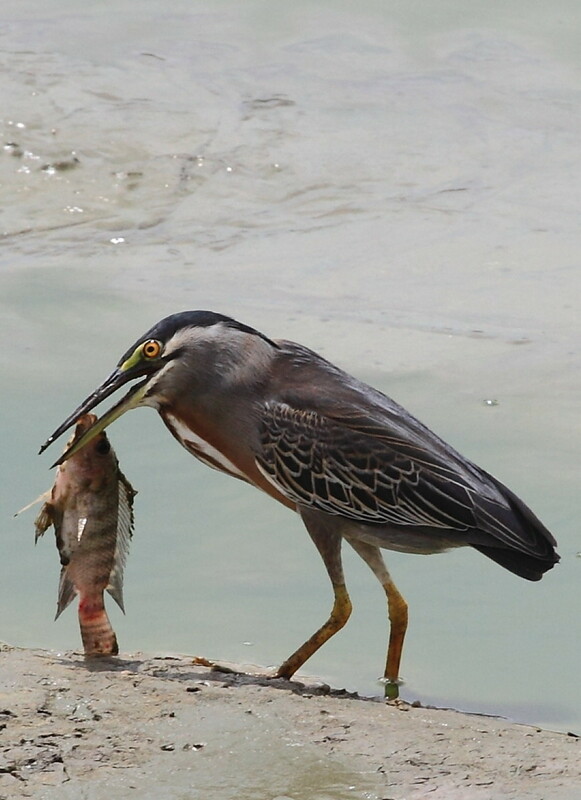 The day previous brought 13 birds and a red eared slider turtle. I took a vet student with me, and we made up a list of tubings that the vet asked us to prepare. We weighed and tubed 3 Ring-Billed Gulls, a cormorant, a Canada Goose and 3 Buffleheads. The vet student never handled larger birds before, so I made sure that I handled the cormorant. This was my first time handling a cormorant, known as “The Biter.” We cleaned a goose’s playpen, and gave him fresh food and water. Then we assisted another group that was a little behind. We had those extra 5 Canada Geese done in less than 10 minutes, and they went to a new location. I was completely in charge of water management in the wash line. On Sunday, Dec. 5, I checked the four outside tanks to see how many were empty and saw that 3 were full. 17 oiled birds were admitted Saturday night. Most of the birds were washed and outside and Sat. night’s count was 95 including 2 turtles. Monday, Dec. 6, our Senator, Tom Carper came in. He remembered me from my DE State Police days, and we got a picture together, since I never got the one with him for my 10 year award at the State Police. Thursday, December 9, I lead a tubing team with two people at my disposal for oiled birds. We all dressed in Tyvek, rubber aprons, and nitrile gloves and handled our birds. Then I had a to-do list to handle. This day was a rare moment, but I had known some of these geese so well. I spritzed(sprayed with a hose in a light rain) the geese in the flight cage. The lead goose went through first, then called the others to come through. They all went single file through the water. 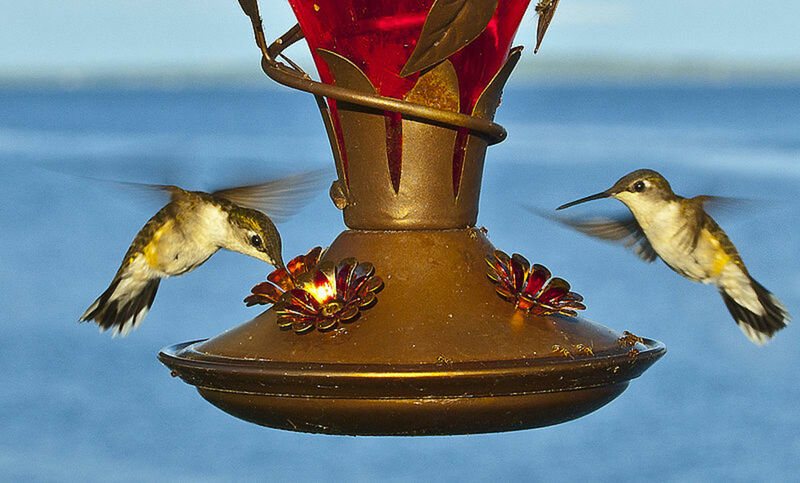 Spitzing birds encourages preening, so if any residual oil is in the feathers, they will remove the rest of it. I was asked to spritz as much as possible, as most people had to chase the geese around in order to get them wet. 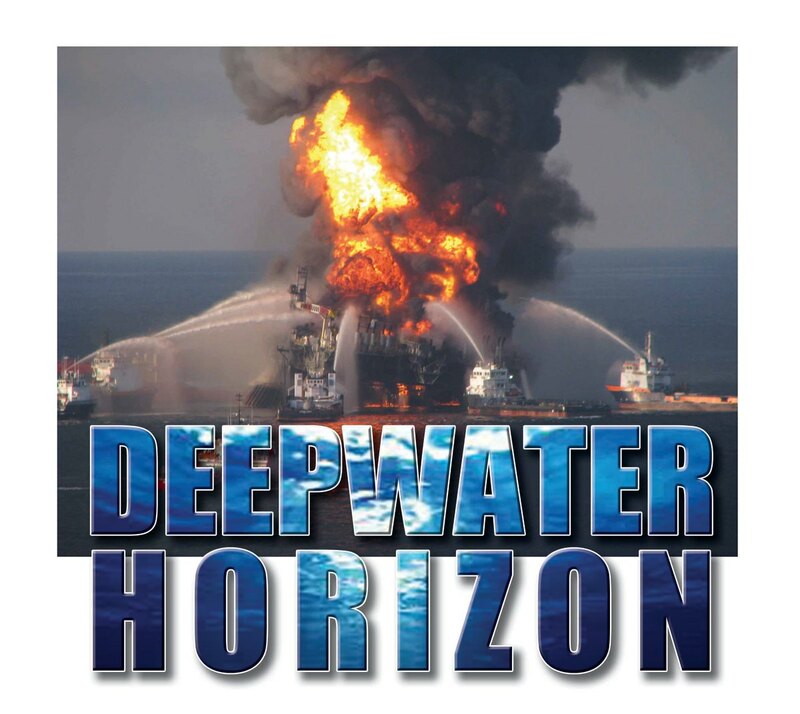 On Friday, Dec. 10, our first oil spill releases were in MD. 3 Buffleheads, 1 Mallard, and 7 Canada Geese left the facility for Blackwater National Wildlife Refuge, and to date 177 animals were received, with 144 in house at the morning’s count. The afternoon report on WDEL radio said that the oil was off loaded on the Athos I, and 119 miles of shoreline were now affected. 109 dead birds had been found out in the field and tarballs had been found in Delaware Bay heading for the Atlantic Ocean. Dec. 11 there were 147 animals in house, with 130 outside. The USDA planned to be using a narcotic to bait birds this day. These birds were the ones that were oiled, but not enough to keep them from flying. In order to wash them, they had to be baited with a sleeping narcotic in order to catch them. If oil is left on their feet and skin, it burns them. There were a number of birds washed that had holes in their feet and bright red skin under the feathers that had been burned. 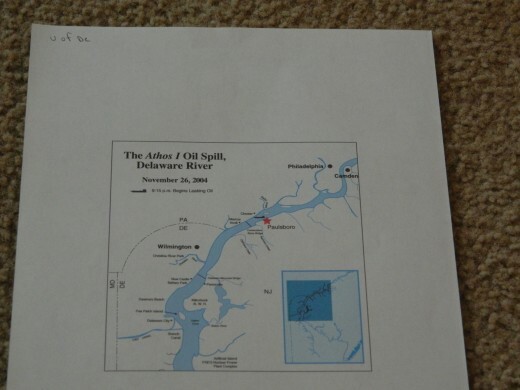 WILM radio’s first afternoon report stated that this spill could affect the northern Atlantic coast ofDEand southern Atlantic coast of NJ regarding the ecosystem. The pipe that tore open the hull of the Athos I was either part of a pump housing for a water sewage plant or perhaps even part of a dredger. 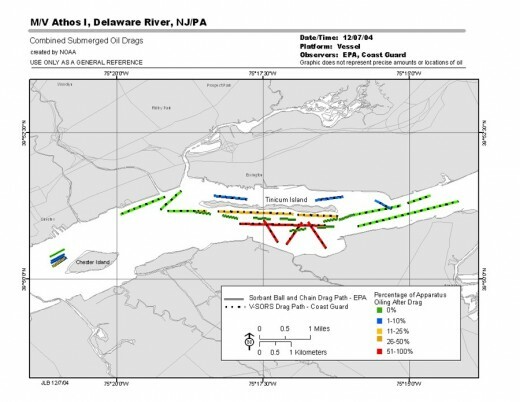 WILM radio’s 6:30 p.m. report said that oil and tarballs were found between theTacony-PalmyraBridgeto theSmyrnaRiver(in theDelaware River). The Athos I was now in Marcus Hook, PA and would be taken to the Philadelphia Navy Yard for repairs. Tarballs were in the MD portion of the Chesapeake and Delaware Canal. There was a facility lined up in Woodbury,NJ, which was where we are going to handle the large overflow that will be coming in due to this USDA bird drugging program. Tri-State only had a well(not city water), which had been handling this oil spill since it began. It was not known to me how much water had been used, but it was safe to say that we passed the 1000 gallon mark without a problem. Fortunately, the rainfall for this area had been 7 inches above average, so that had actually been a Godsend. At this point, before the well runs dry, another facility was definitely needed to accommodate however many more animals that this drug program brought us, both for water and for space. Having to hold these animals for 30 days could bring great numbers. I couldn’t even guess how many we might receive, nobody could. Our team washed 2 of the drugged geese on Dec. 13. Both were alert and behaving normally, with no adverse incidents. We captured all 20 geese in the new section of the flight cage and loaded them in a van, which was an interesting experience. They were all flighted and some kept flying away from us, but we managed to corral them all, with one of the vets doing a flying tackle to get the last one. Another successful group to be released to the wild! On Dec. 14, the field report on the drugging is that this narcotic was being put in bread. The people involved were trying to get the birds used to them just by hanging around and small flocks were being targeted. At that point, 15 oiled baited birds had been received. When brought in, the birds were left in their cardboard boxes turned sideways, with their heads propped up on towels, as they were making excess saliva. When they awakened, they just walked out of their respective boxes. The new facility near Woodbury, NJ was being prepared that morning to receive the baited birds that evening. There was a crew from Tri-State there being overseen by two oil team staff. They built pens for the birds, and the birds would also be washed there. On Wed., Dec. 15, it was discussed that we received 250 animals to date, with 166 in house and 43 releases. As of Tuesday in the field, there was no more free oil and the booms were removed. Concentration would be on cleaning the shoreline. The last word on the new facility was that it should be fully functional that afternoon for washing. Birds were transported there for washing that evening from the field. If the winds were calm that night, cannon netting was to be attempted, where possibly 50 birds at a time could be captured. Friday, Dec. 17, 252 animals were received, with 80 plus or minus at the NJ facility. 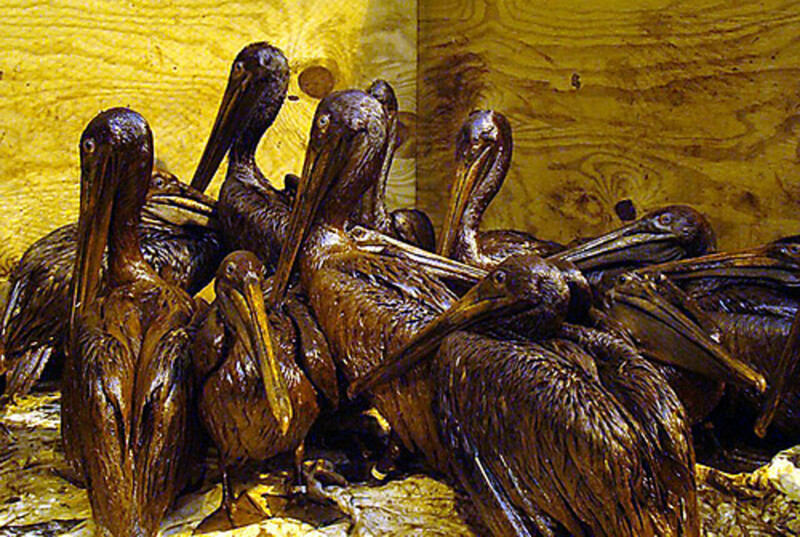 Most of the heavily oiled were drugged birds. We set up two wash lines, since we were doing re-washes. We were using a new chemical pre-treatment, which seemed to literally melt this tarry oil away, but it took quite a while to go through all the feathers on the whole bird. Our first bird was a gull, and we got him squeaky clean. The next bird was a very nervous goose. It was taking three people to hold her: she was very, very strong and intent upon escaping. After I finished with helping to set up the wash line, I went to help while she was being pre-treated. For a rewash, she was VERY heavily oiled. It’s possible that she may have been having a seizure from the outset, so she had to be rinsed and returned to dry ASAP. It took a good 35 minutes to get her pre-treated, then she was more trouble in the wash tub. I found that if I supported her entire underside, she was fine and eventually calmed down. I was even able to do her underside myself while I was holding her. I had to leave about halfway into the wash cycle, but checked on her again. She was trying to escape from the replacement person, but I’m sure that she wasn’t as bad as she had originally been. On Sat., Dec. 18, the vet involved in the oil spill medical end had the day off, which was much deserved. At the morning meeting, we learned that we were still holding 252 animals received to date, with 148 in house. 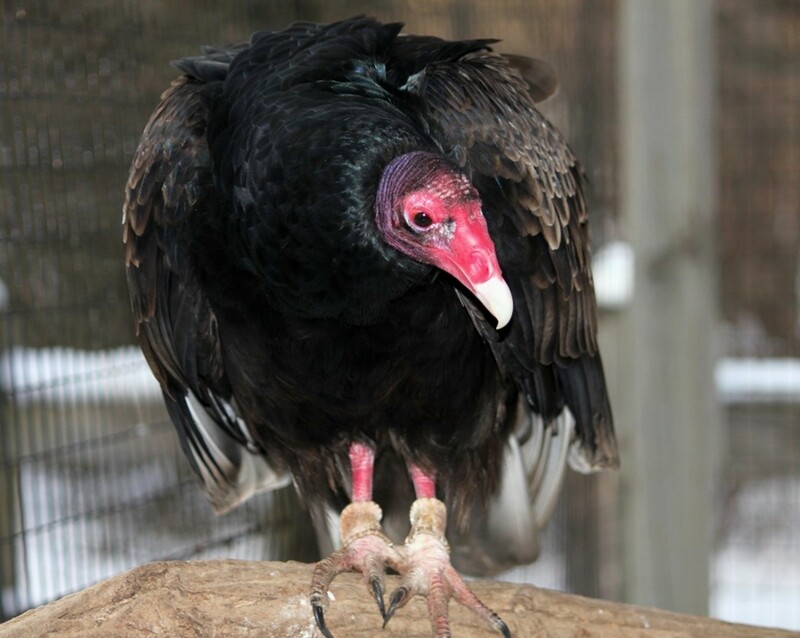 The NJ facility began their wash lines on Dec. 17, and 72 birds went there the night before that were captured. I assisted with weighing and tubing birds that were being moved outside, then I ended up on the wash line for the rest of the shift. There was also another training class for oil spill, so the group that I was in had 3 weeks of experience under our belts. Sunday, Dec. 19, 252 animals had been received, with 149 from NJ. NJ still had 150 plus or minus, and 61 birds had been released to date. I had a couple of people with me from the training class the day before. They literally got involved in the crux of things, with one going on the wash line and the other handling water management. On Monday, Dec. 20 it was 17 degrees F with a minus 17 wind chill and winds from 20-25 mph. Today was my day to feed birds(husbandry), which meant the removal of the old food from the day before, frozen solid, including the pools. December 21, I was on a gavage team for a couple of Canada Geese, then I spent the rest of the shift doing laundry, as we were so low on towels, pillowcases, and sheets. All the oiled laundry was bagged and properly disposed of, as one cannot remove oil from it. Luckily, we had been receiving steady donations of sheets, towels and pillowcases, but at that time all the laundry was in the laundry room! Dec. 22 we had 130 animals in house and before 8 a.m., we readied 2 Mallards and 14 geese for transport to MD. Out of the 130 animals, 40 came from NJ washed, and they still had a little less than 100 left to wash. Thanks, Lucky cats. That's why our Congressmen and women NEED to see this first hand before they start bowing to big oil. A spill causes a lot of trouble, and when the oil companies pay for it, you'd best believe that we in turn, pay for it. Hi aviannovice...what an incredibly detailed and interesting hub this is and, Thank YOU and all your co workers, for doing such fine and caring work. I have seen the result of an oil spill once, in t he SF Bay Area years ago (not a major one but, none the less, birds & sea life were effected). There are so many areas where it could go wrong, the fear of loosing an animal; so much working against the team of rescue/saviors. It is so satisfying to save a life; and I particularly love birds these days as I've begun working with rehab efforts here in N. California. It is such a tragedy that so many lives are effected when oil related industrial accidents occur..and these are too frequent. I am always heartened by my fellow human beings when I read of efforts to save animals...and, I must remind myself; there are many who DO care and who DO participate in the betterment of all life. Thank you for sharing and educating your readers about the detail, delicate nature of and necessary work you are doing to help animals in peril. UP Awesome Interesting Beautiful and Useful...Off to Part II. This is an incredible story. I had no idea it was so complicated from the bird washing side of things. It is really interesting to hear what went on. Thanks for sharing this with us. Very interesting and informative. It is so terrible that these innocent animals suffer due to our 'mistakes'. It must have been a wonderful yet bittersweet experience to be a part of a team to help these wonderful creatures...and in such cold weather! Thanks for sharing. Will read the next ones too. Voted up and more! I haven't even started telling you what happened. I worked this spill every day for 10 weeks. As a general contractor, my customers said that it was all right to do what I had to do in the mornings, and work for them in the afternoons. It was a crazy time, but I learned so much and was part of a great volunteer team that helped so many. We went from Thanksgiving through Christmas and new Year's. The volunteer force really dropped off right around Christmas, but there were a few of us diehards that refused to stop. Wow! you must have worn out by the end. We learned all the bird on T.V. from Mississippi When they had the oil from a BP oil spill. Hopeyfully they are all released now in a safe area. Voted up and awesome for all your hard work.